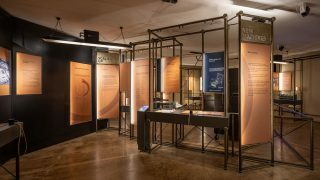 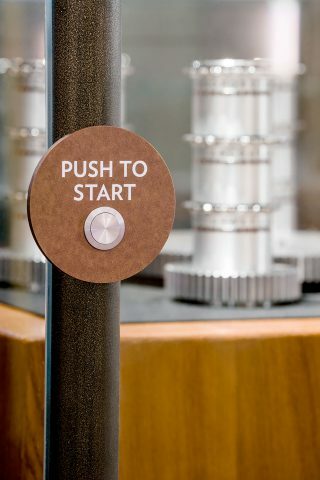 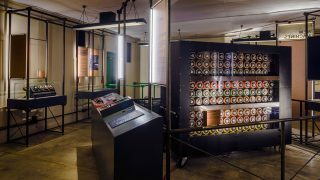 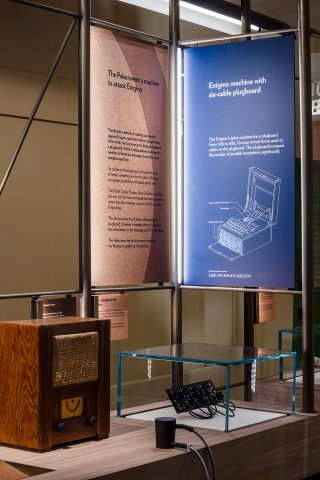 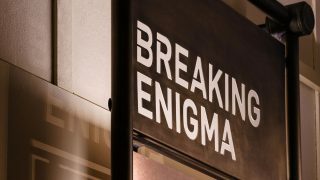 This exhibition traces the history of the Bombe machine: from its inception during the technological arms race in Europe; to the genius minds which made the machine a reality and the vital intelligence it decrypted. 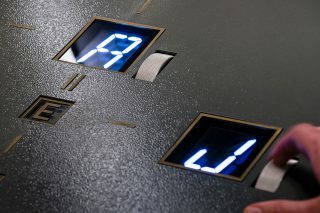 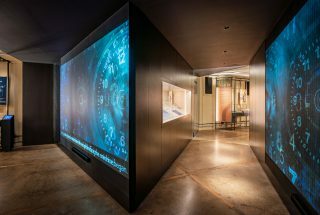 Our approach incorporated multi-sensory and theatrical techniques to engage the visitor with this complex story. 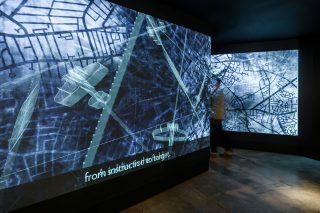 We choreographed a journey through the space – a dynamic audio-visual show, which was synchronised with the regular running of the replica bombe. 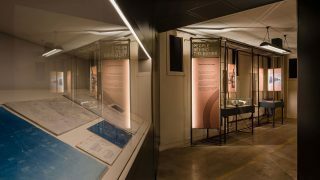 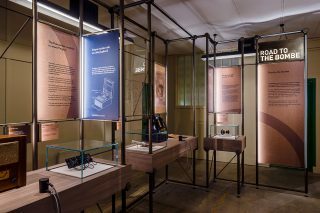 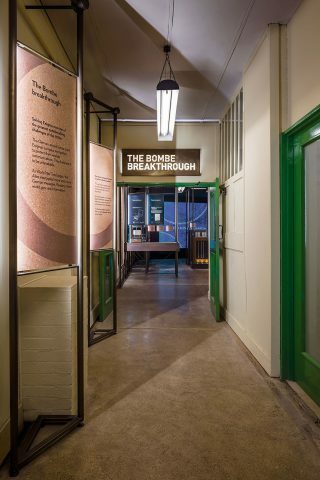 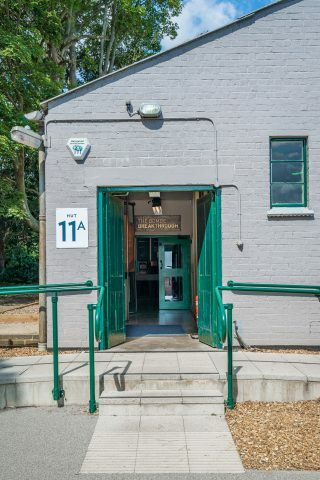 We designed a freestanding display system so as not to impinge on the historic fabric and to highlight the original hut in which the Bombe was housed.